02 Jan, 2018 by	Margaret M.
The author of The Politically Incorrect Guide to Catholicism has a New Year’s Wishlist and in it, he hopes that the current Pope Francis either repents or resigns. Non-Catholic Christians might not recognize that our Pope is a Jesuit, a sect that has earned a bit of a reputation. You’ll hear Catholics joke that the Jesuits, with their vow of poverty, are a bit socialist, and in fact the second-to-previous Pope John Paul II had denounced some Latin American Jesuits for their focus on liberating the poor from their rich oppressors. 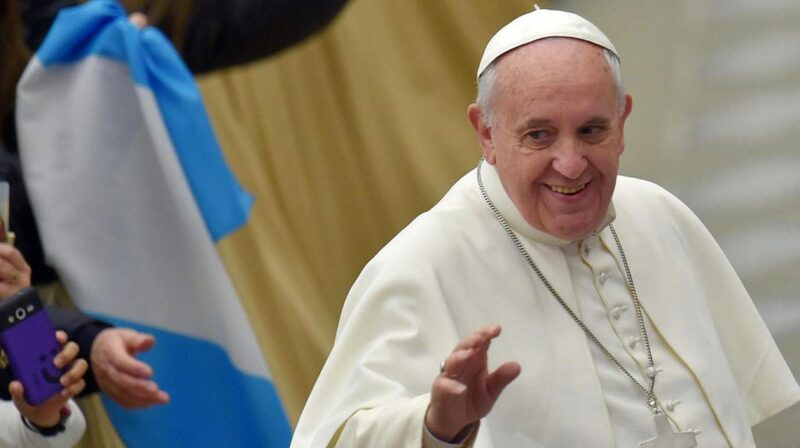 I still went to a Jesuit-founded University and am planning a short pilgrimage this weekend to visit a relic of the founder of the Jesuit order, but I’ll still poke some modern fun and freely say that I’m not happy with the socialist and Marxist views of Pope Francis. Recently, il Papa commented publicly on his dissatisfaction with the current translation of the Lord’s Prayer, which in English reads Lead us not into temptation, saying that it should really be Do not let us enter into temptation. The current version, he says, suggests that we are led into temptation by God. Should never have strayed from the Latin rite, I say. With millions of Catholics leaving the Church, exit surveys show that leavers do so because the modern Church has nothing to do with their modern lives. Continuing down the path of focusing on massive pie-in-the-sky social issues instead of offering practical advice on how to use the word of God to help us with real life, daily struggles is the way forward. Some have suggested that bringing on Catechists (laypeople who teach the basic teachings of the Church) will help. So far, the only people I’ve heard suggesting that the Church go full throttle into politics are the Jesuits, particularly the Pope. In September, Pope Francis urged the world to accept migrants and in response, a group of conservative Catholic scholars signed on to a letter suggesting that the Pope is engaging in heresy, particularly on “marriage, the moral life and the Eucharist.” Last year, Francis suggested more acceptance of both gay and divorced Catholics. I’d say more, but at this point, I think I’ve added enough extra rosaries to my penance.